For 2016, 18 students were enrolled across two campuses, giving us the unique opportunity to have multiple studio clients. Students worked in small teams, and produced several outstanding projects. 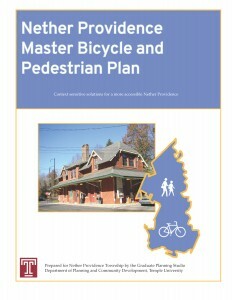 At the request of township resident and Temple Planning student Randall Rook, students provided planning services to Nether Providence Township, creating a Master Bicycle and Pedestrian Plan. Providing a detailed inventory of existing conditions, including results from a town-wide survey and police crash data, this plan prioritizes road and intersection improvements for the Township. It pays particular attention to connectivity within Nether Providence, as well as connections to adjacent municipalities and regional networks. The plan focuses on pragmatic improvements for accessibility to major points of interest, and for safety considerations. The result consists of recommended infrastructure such as roadside signage, sharrows, and crosswalk signals at specific locations in order to reduce reliance on single occupancy vehicles. 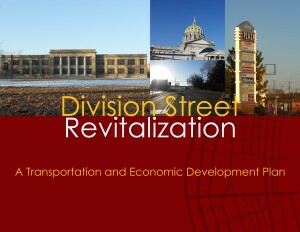 The Division Street Corridor Revitalization plan will help the City of Harrisburg to understand the unique needs and opportunities of the Division Street Corridor. By creating a multi-modal boulevard, the plan will provide facilities for all modes of transportation and users and will provide key connections within Uptown. 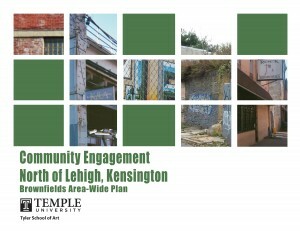 The proposed redevelopment at the William Penn High School and the Uptown Shopping Center provide additional options for apartment living in the city and fill a need for live/work spaces and creates spaces for business development, vocational training, and recreation, which provide additional amenities to area residents. Through the development of a new grocery store at the Uptown Shopping Plaza jobs will be created and residents along the corridor will also have improved access to fresh food. The recommendations include the use of sustainable environmental practices for both transportation and economic improvements, which can serve as examples for implementation in other areas of the city and region. Further investigation into creative financing for these recommendations will be key to implementation. With a proactive team of the city, stakeholders, residents, and developers the Division Street Corridor can be revitalized to support local residents, the economy, and advance the use of green infrastructure. Another team worked in support of the EPA grant to our Center for Sustainable Communities to produce an Area-Wide Brownfields redevelopment plan for the Lower North Delaware industrial district in Philadelphia. Students conducted focus groups with community residents, utilizing a Human Centered Design approach to encourage a community-led approach to this planning process. Utilizing a technique known as photovoice, residents were given cameras and asked to document what they liked about their community, what they didn’t like, and also to provide examples of what they’d like to see in their neighborhood. This research produced specific recommendations for the 5 catalyst sites, as well as the entire study area, that will be used in future phases of this research project. The report can be accessed here. 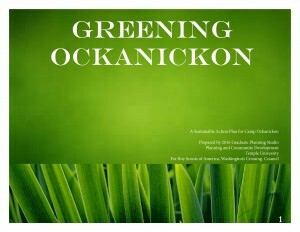 Greening Ockanickon is a sustainable action plan for Camp Ockanickon, a 300-acre camp site in Bucks County, owned and managed by the Washington’s Crossing Council of the Boy Scouts of America. The plan details existing conditions at the camp, and makes specific recommendations in the areas of waste, recycling, composting, stormwater management, drinking water and waste water, and energy usage. Consistent with the mission of the Boy Scouts, the plan also details how educational efforts are critical to achieve all of these goals. An exciting project about to break ground in Philadelphia is the first phase of the Philadelphia Rail Park, which will ultimately transform a 3-mile stretch of unused rails into an urban park. 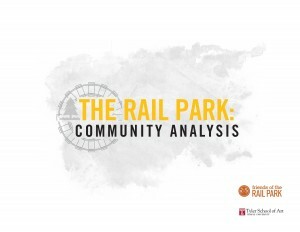 While numerous studies have been completed about the proposed park, The Friends of the Rail Park needed a comprehensive community analysis of the area around the rail line. 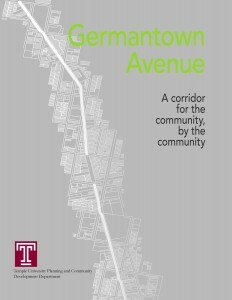 Temple students conducted that study, and make recommendations about the need for continued and enhanced community engagement. They found that successful similar urban projects, like the 606 in Chicago and New York’s High Line, made engagement a priority, and were able to leverage both public and private funds for both construction and operations of the park. Their report will be used as Friends of the Rail continues its advocacy for the development of this critical public space. state of the commercial marketplace.